Broker Licensed in Nevada and North Carolina with broad experience in Commercial Real Estate including and not limited to; industrial, flex, retail and office properties. Direct experience as a Landlord Representative in all aspects of Leasing and Property Management for both local and national tenants. Commercial Brokerage: Office, Retail & Industrial which includes and not limited to; advising and providing my clients with creative cost saving initiatives and effectively negotiating leases, expansions, renewals, sublease/s and purchases and while structuring the best deal for my client. I intend to utilize my experiences to better understand the landlord’s position and how to leverage this information to the tenant’s advantage. 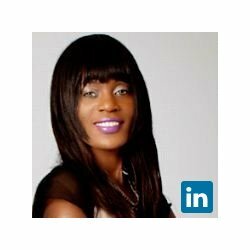 I am interested in providing my clients with a sense of security and trust, while creating value based relationships with my clients and within the community. ·	Negotiated, processed and assisted with the executing of office, flex and industrial leases including and not limited to; New leases, expansions, renewal and relocation of major tenants within the Las Vegas, NV market. The leases ranged from +/15,000 to 128,000 square feet. ·	Participated in the new development, strategic planning, proposed building plans, demising units and marketing of Henderson Commerce Center approximately +/-350,000 square feet which was an Industrial Park. ·	Participated and represented Harsch Investments in the NAIOP Spotlight Awards. ·	Managed and retained big box tenants with an averaging +/-20,000 square feet while increasing rents, minimizing tenant improvements costs, rent concession and maximizing property value.